Are you struggling with creating tables on your website? If the answer is Yes, then don’t worry! you are in the right place to deal with the issue. 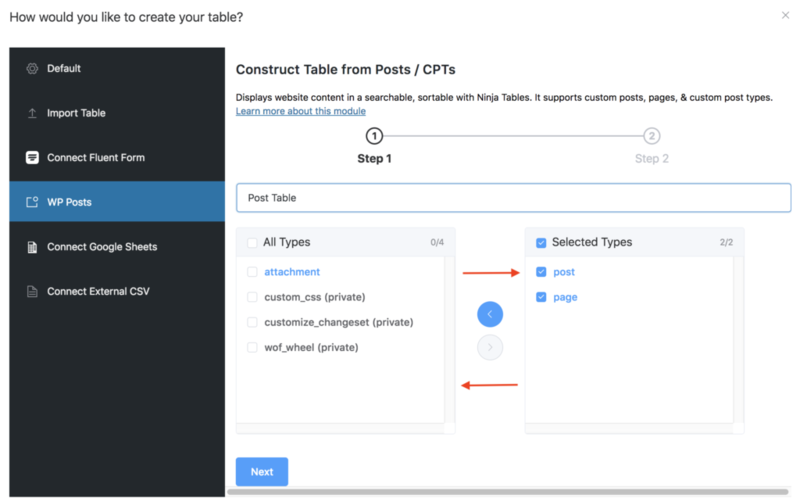 Ninja Tables WordPress table plugin comes up with tons of amazing features to solve the table creation problem forever and ever. Using Ninja Tables, now you can create numerous types of extendable tables in the best possible way on your WordPress site. Ninja Tables is the most advanced table plugin for WordPress users. The plugin was first coined on 26 December of 2017 by wpmanageninja.com, one of the fast-growing companies of digital products. Basically, the company deals with distinctive digital products like WordPress Themes, Plugins, and add-ons. At the very beginning, the company dealt with the numerous HTML templates and they have various HTML templates as well. Amongst all the products, Ninja Tables is the most reputed and fast-developing product of the company. 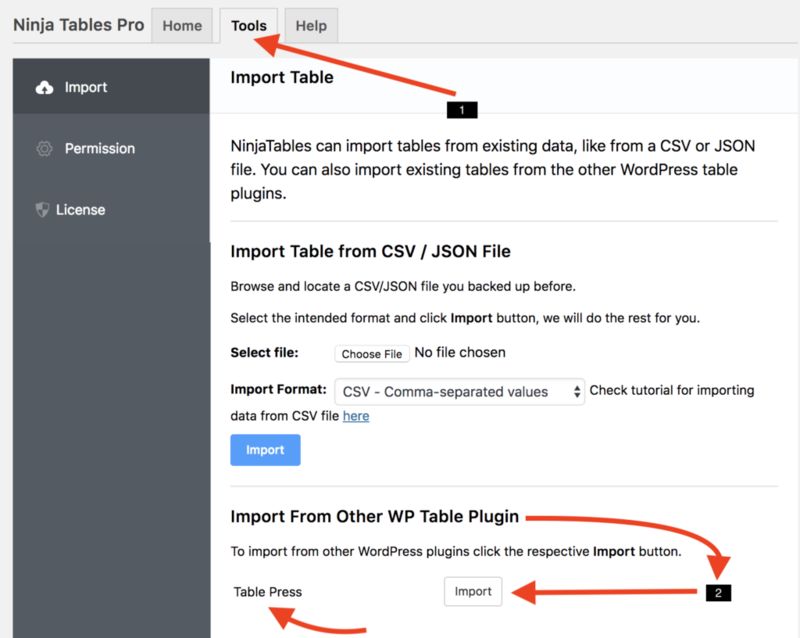 From the very beginning of its release, Ninja Tables has been doing great in the WordPress table plugin industry. Within a short span of time the plugin has got immense popularity over the time for its outstanding performance in creating any kind of table on the WordPress site. The persons behind the plugin are constantly working so hard to make the plugin most user-friendly for its users. It’s obvious that WordPress is the best CMS in the digital world but it also wise to say that it’s not free from flaws. 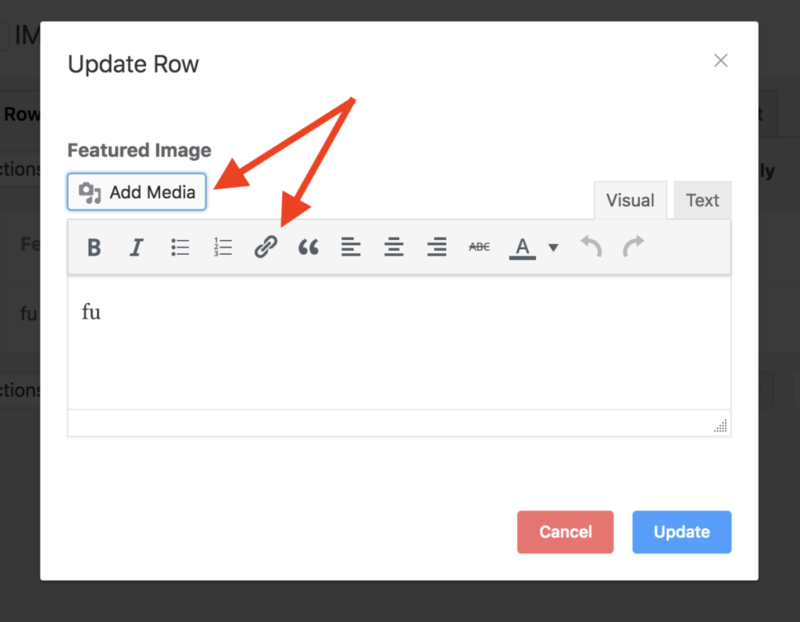 WordPress doesn’t come up with a default option for creating a table instead of raw coding. Moreover, creating tables through raw coding is not only a boring task but also it’s pretty time-consuming. 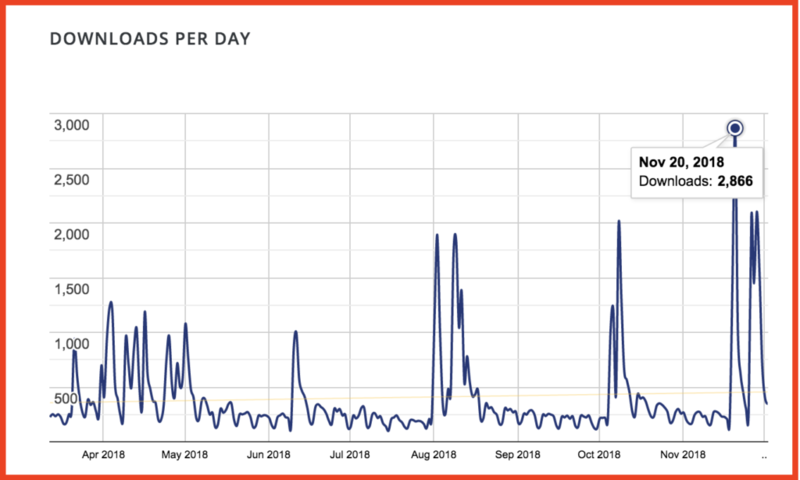 To solve this problem, Ninja Tables a renowned WordPress table plugin comes into existence and makes things easy for WordPress users. Using Ninja Tables plugin, anyone can create any kind of dynamic advanced table without having a single line code. It’s super handy interface makes table creation very smooth that any novice user can easily manipulate the system and create tables easily. 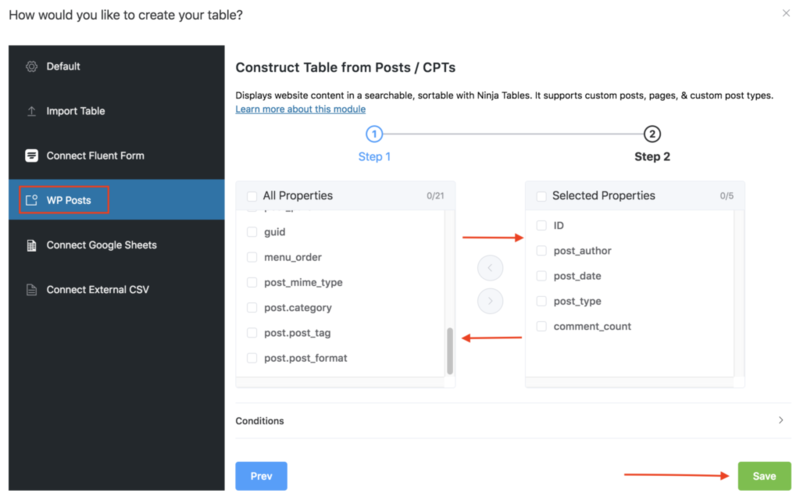 That’s why you should use Ninja Tables WordPress table plugin for creating any kind of smart tables. Ninja Tables is the most widely used WordPress table plugin for creating tables. This plugin is used in almost all the sectors like business, science, education, and non-profit etc. The plugin got its reputation for its numerous features and functionalities. 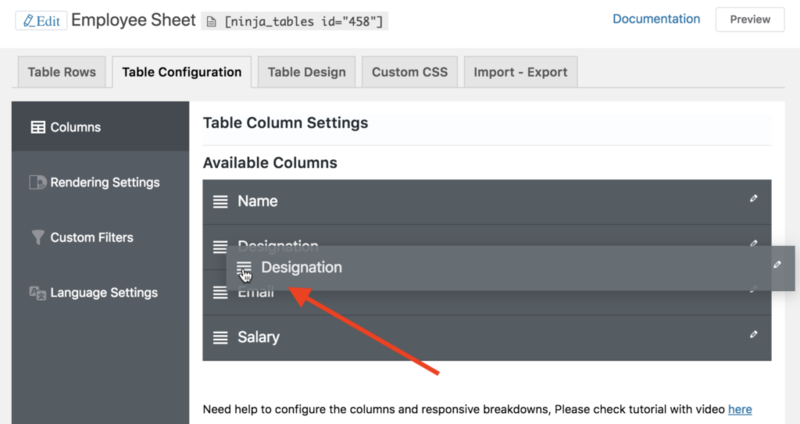 These are some basic features of Ninja Tables that you need to know for creating your expected table on your web pages. Now I am going to demonstrate one by one in a row. One of the most important aspects of Ninja Tables is its responsiveness. Using Ninja Tables you can create tables that are fully responsive in type. The plugin also comes up with another exciting feature that is the responsive breakpoint. 💡 You can learn more about the option from Ninja Tables’ official website. Styling always plays a big part in presenting any data. Considering this, Ninja Tables plugin comes up with a bunch of amazing options that will definitely blow your mind. The plugin provides you with a wide range of styling opportunities in very different ways. There are three different table designing sections for each table design. The sections are Styling, Table Colors, and Others etc. In the Styling section, you will get multiple options like Styling Library, Styles, and Features. Using those options you can configure your tables in versatile ways. 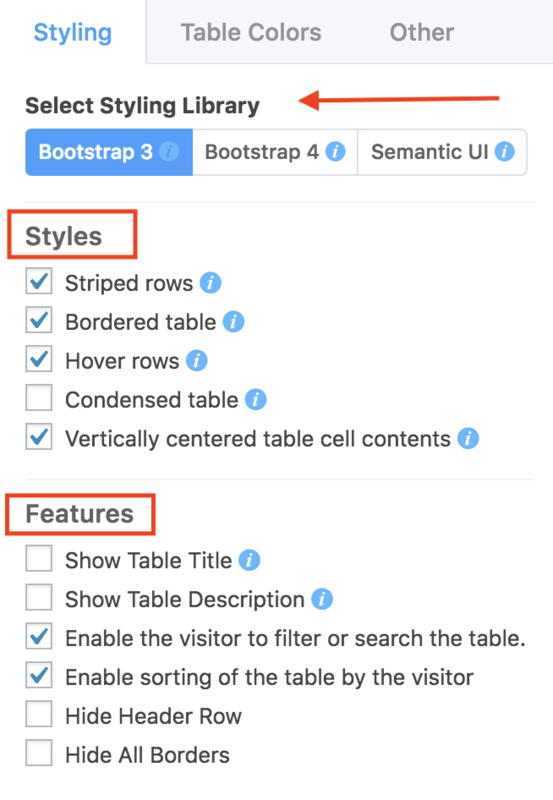 You can use Bootstrap 3, 4 and Semantic UI. 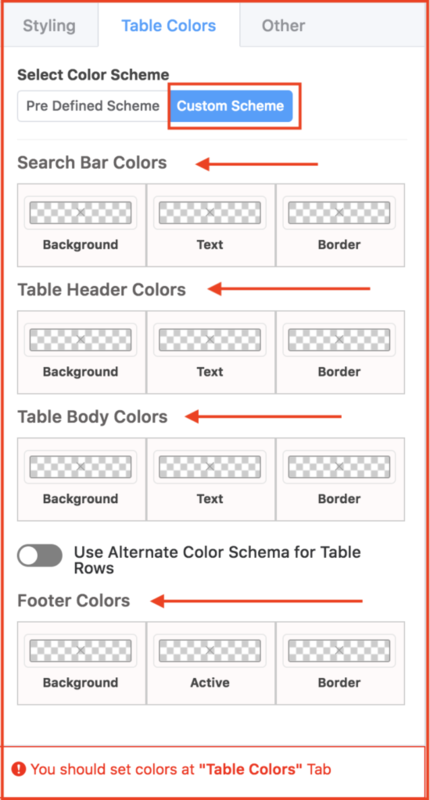 In Table Color section, you colour your table with two different ways. The pre-defined option allows you to colour your table with 12 different pre-defined colours. The Custom Schema allows you to add colours to your tables according to your own choice. You can customize any of the colour schemas for making your table attractive. 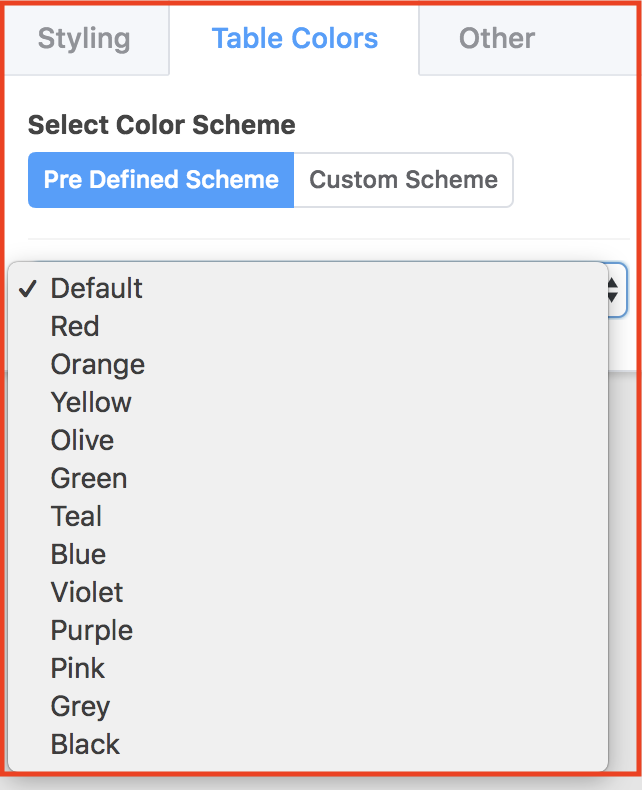 There are a bunch of customizing options in the Custom Schema section. You can configure each of the customizing options to make your table design more smooth. 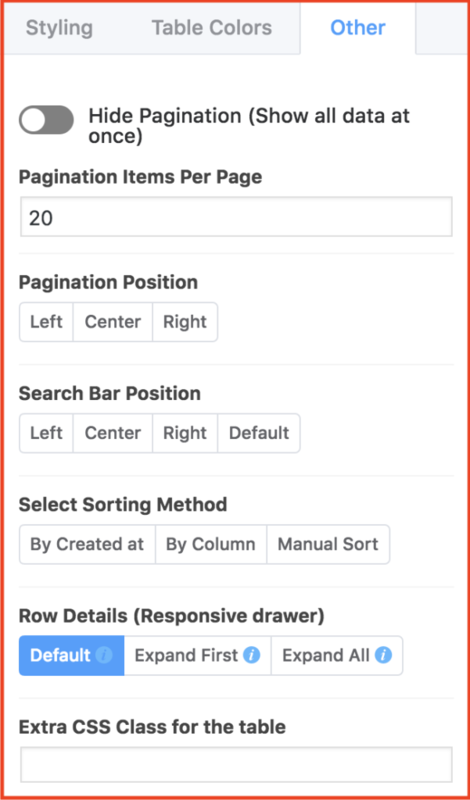 In the others section, you can enable and disable pagination of your created table. Using Ninja Table you also get a smart preview section with an option that makes you see how the created table looks like in three different devices. You can diagnose your created table staying from the backend without clicking on the preview button. You can view the table from the mobile, tab, and desktop view. The WP post allows you to show your website post in a tabular format on your page using Ninja Tables. WP post option is a unique option for any kind of table plugin. You can hardly find any table plugin that covers such an amazing feature. There are multiple configuration options for custom post type WP Post feature. You can choose the item that you want to display on the table row. You can edit the existing table that is generated by WP Post feature and you also can add the more additional dynamic column in your existing table. This is not the end of this feature! If you want to give any condition to any column you can have such opportunity using Ninja Tables plugin. Ninja Table version 3.o comes up with some amazing features that will definitely fill your mind. Among all the new features, there are two most important integrations within Ninja Tables. One is integration with Google Sheets and another is WP Fluent Form integration, a WordPress form plugin. Both the integration makes the plugin more intuitive and extended the usability. In terms of WP Fluent Form integration, you can show all the data retrieved by using WP Fluent Form in Ninja Tables plugin. In terms of Google Sheets integration, you can display all the data of Google Sheets using Ninja Tables plugin. 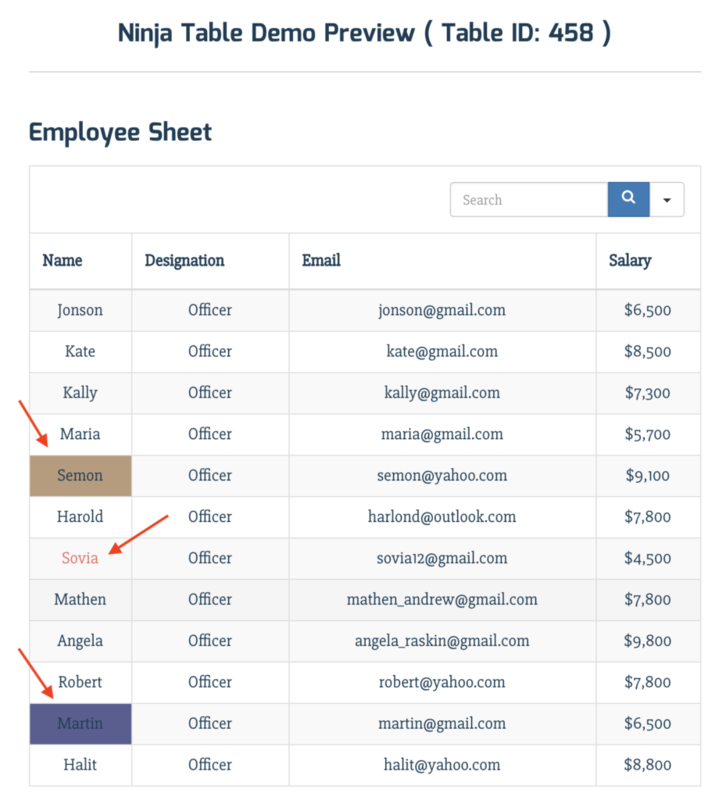 Conditional Column Formatting is one of the latest features of Ninja Tables version 3.0. Applying the feature, users can easily format the table column/cell using different condition. You can format any of the columns of your tables using conditions according to your requirements. 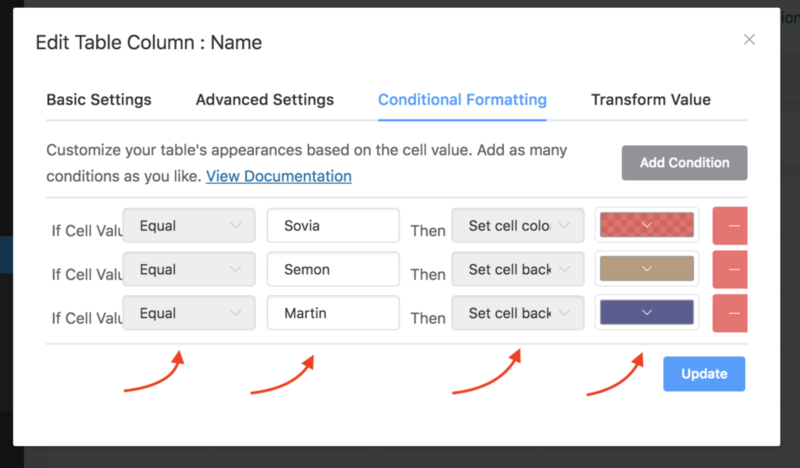 With Ninja Tables’ Conditional Column Formatting feature, you can customize your table appearance based on the cell value of the table. You can make a change any cell value of the table using this features. You can give a different text colour, the background colour of specific cell value. Ninja Tables comes up with export and import facility for its users. You can import tables data from any other external file and you also can do the same from another plugin as well. 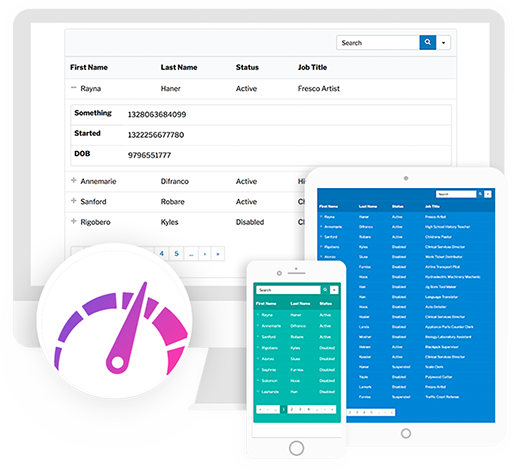 Ninja Tables plugin allows you to import data from TablePress as well. Apart from this, you can import data from other external sources. 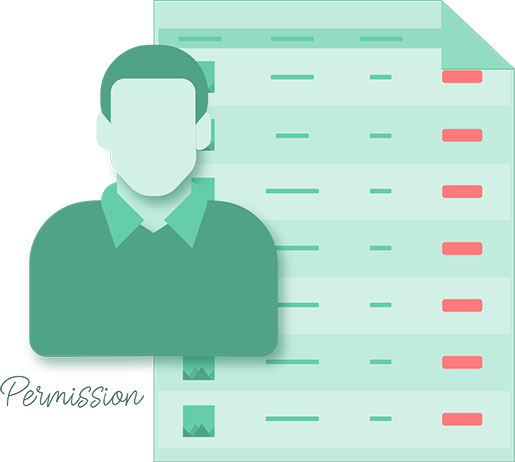 You can import file in CSV or JSON format. Moreover, you can export file to other direction in CSV and JSON format. The fast loading web page is the basic demand of every user. Using Ninja Tables you can create any kind of tables that are fast loading in type. Ninja Tables operates everything from just a single page. The backend is built on VueJS and VueRouter as SPA so the experience will be smooth. From creating a table to configuring settings or adding entries, importing from a CSV, re-arranging columns everything feels real time. Using Ninja Tables you can have an opportunity to provide permission to access to its users. If you don’t want to always limit the fluent experience of using Ninja Tables to the Admin users. In this case, again, sometimes you may need to restrict permission of who can edit your tables, and who can not. Now, don’t scratch your head, rather use the global permission settings under the Tools sub-menu in Ninja Tables. There you should be able to allow Ninja Tables to other user roles. Every now and then you find yourself in a deadlock. You want something specific that you cannot achieve with the Ninja tables. It’s alright, it happens to the rest of us too. Buying Ninja Tables Pro version moves you up to the elite users whose query and problems are our top priority. 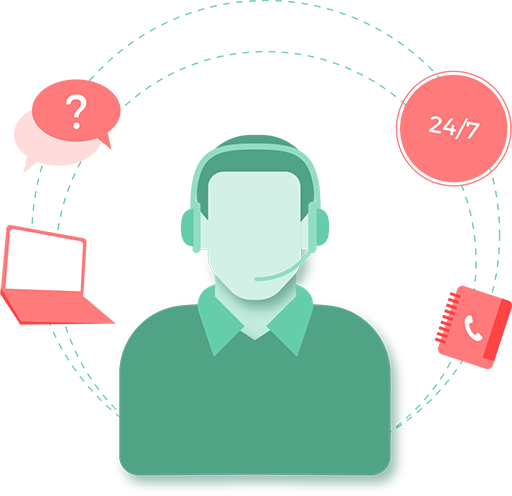 Without getting so much into technicalities, we can guarantee your issues to be resolved in no time. 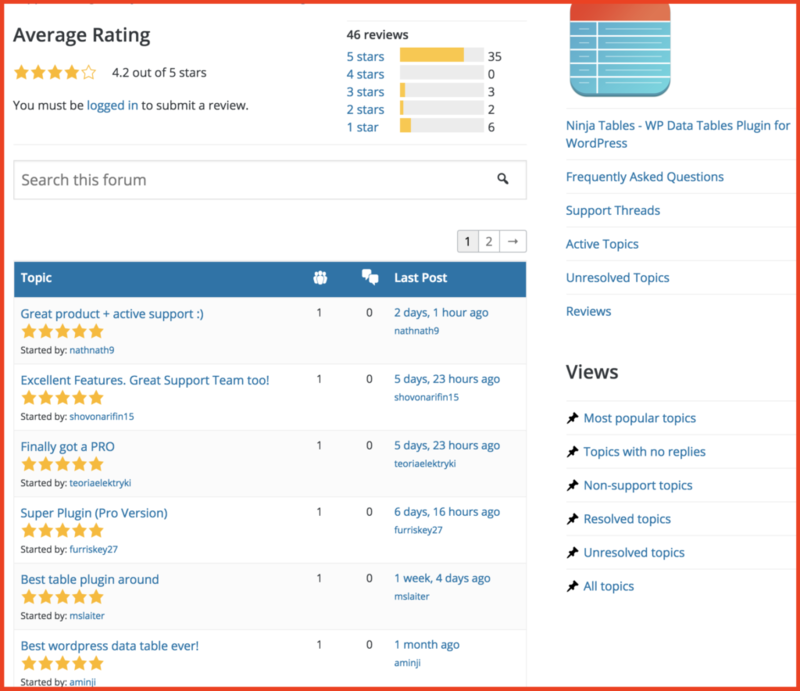 If you take a look at the reviews of Ninja Tables in WordPress official site, you would understand the worthiness of the plugin. How Much Does Ninja Tables Cost? Yes, Though TablePress is free it’s ok for basic usage. Moreover, if you are using TablePress, you can still migrate all the table data into Ninaj Tables very easily. At the end of the day, I want to say that it’s a worthy plugin as you get what you pay for. According to the current growth of the table plugin, Ninja Tables is doing great in the plugin industry. It has over 10,000 active users at WordPress directory and has maintained a decent rating that indicates its worthiness. Moreover, the plugin is growing fastly as you can see its fast download chart on WordPress directory. For me, I would highly recommend you to try Ninja Tables at least for testing purpose. After giving a test drive you would realize the reality of my aforementioned words. So, let’s get started with the Ninja Tables! In fine, It can say that Ninja Tables plugin is a feature-rich table plugin for WordPress. Best of all – the plugin has the free version! You can go for the free version in order to have a test drive on your site. 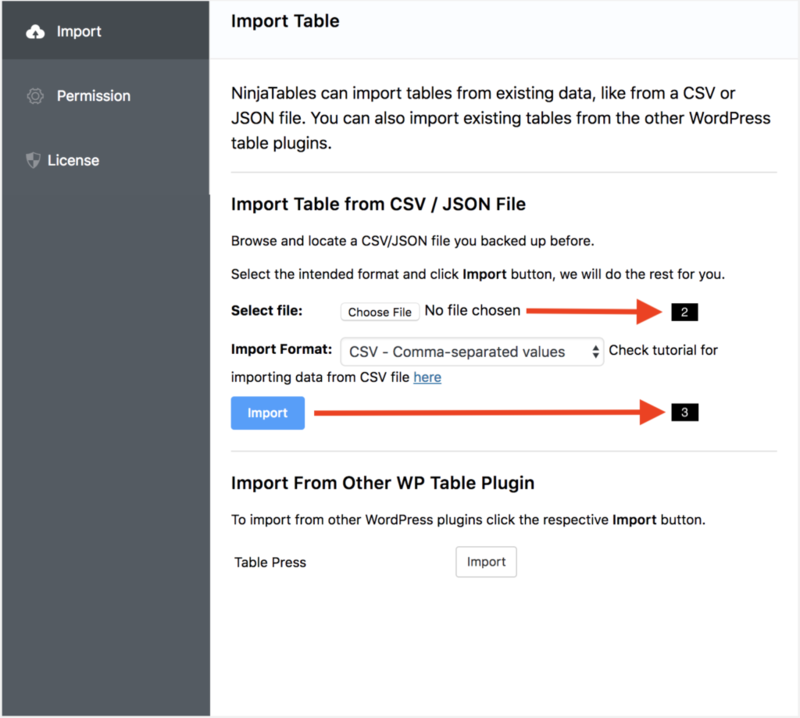 Hopefully, the article helped you by providing a value regarding the WordPress table plugin. If you are already using any other plugin, feel free to share your experience or if you are using Ninja Tables, let me know your experience using the plugin. I would love to get back you as soon as possible. It’s indeed the best plugin as I found something unique after trying the most competitive WordPress plugins of the time. Thanks for your appreciation Hasanuzzaman. It’s a really nice review by the way! I like the plugin most as I am satisfied using the plugin. Thanks post posting such a review!